2. After the Royal Couple and their immediate family floated along to Bucky Palace in their horse drawn carriages, we saw the peasants that comprised of the 'lesser royal family' slum it up in in what is generally known as the sardine cans of the prole, aka COACHES AND MINI BUSES. This must have been a major cringe moment for us, not to mention their shame at not being deserved of a carriage. 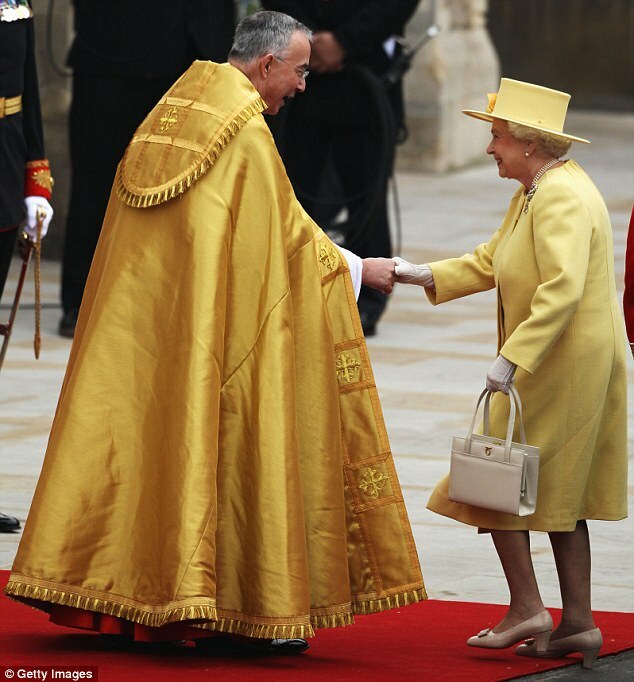 3.When the Reverend and Queen tried to out-yellow each other. My eyes couldn't take this disturbing amount of yellow in just one shot. They should have coordinated or something. The fact the Posh and Becks turned up. Who even invited them? They'd be better off meandering around in Sports Direct or something. 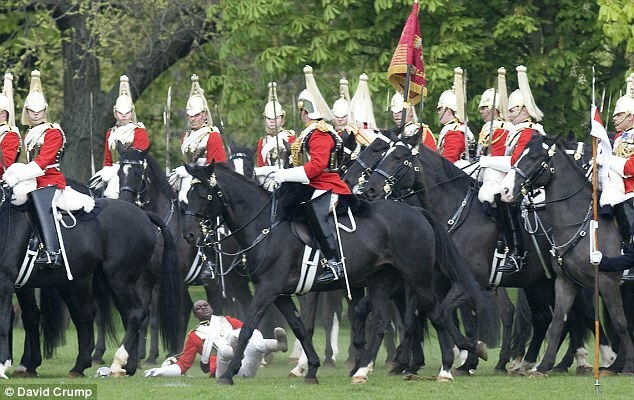 The bloody tool who fell of his horse during the procession (rehearsal). We'll have a postcard next time luv! The general international embarrassment of our Archbishop's questionable personal hygiene and his yeti-like appearance. Standing next to balding Prince Will, the contrast between the two hairy and hairless men was both amusing and yet cringe worthy at the same time. I think we should all take a second to contemplate exactly WHAT Harry had injected/smoked before he got to the Abbey. He was incapable of maintaining a straight face throughout the service, could not stop gassing to which ever poor soul he was standing next to, and in general gave off the stoner air. Who is he even related to? He looks nothing like Charles and Diana. You heard the conspiracy here first. I didn't, made sure to lube my thumb first. It was just so awkward. I felt the moment while he was struggling to get it on lasted longer than an average human gestation period. I cringed I felt so sorry for him, everything has been so carefully rehearsed and then that. Maybe not cringed but it did look a little awkward. It made me think of when you try rings in a shop and they get stuck on. Who else doesn't give a ****? That doesn't look that awkward to me. 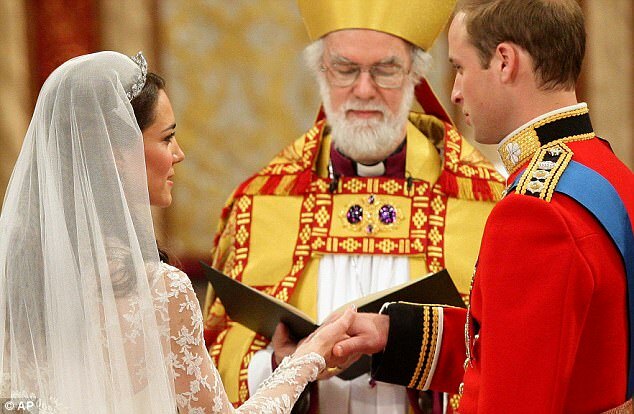 Your fingers must be odd if you thought Kate Middleton's joint being wider than the rest of her finger was cringeworthy. Nor me, but some of the responses are pretty gold. Know exactly what you mean! Everyone in the room I was watching it with just held their breath and winced. EDIT: Seriously though, I want that man to read me a bed time story.